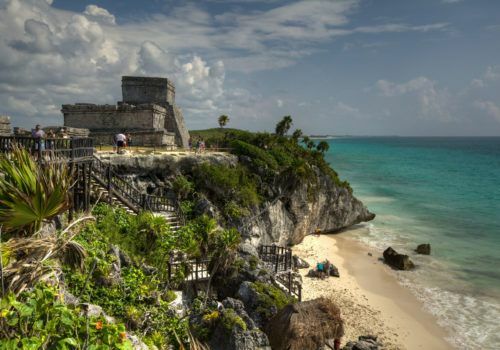 This is the perfect trip for those who are looking to explore the ancient Mayan culture and have a little bit of downtime to chill on a beach as well. You will spend your days visiting different Mayan cities in Yucatan. You will then spend some time in Riviera Maya where you will visit the famous Mayan City Chichen Itza. Enjoy the traditional Mexican cuisine whilst bathing yourself in the gorgeous Mexican sunshine. When you arrive, your driver will meet you at the airport and take you to your hotel. In the morning after breakfast, you will be collected from your hotel and transferred to Izamal. This city represents the historical evolution of the Mayan culture. See the ancient Mayan heritage, colonial history, and present-day Mayan tradition all in one place. Explore the romantic streets of Izamal whilst riding in a carriage led by horses. After breakfast, you will be taken to the archaeological site of Uxma which is one of the most representative cities of the Mayan culture. During its prime, it had a population of around 25,000 and have been preserved beautifully to this day. You will take a trip to the Magician’s Pyramid, Quadrangle of the Nuns, the Ball Game Court, and the Governor’s Palace. After the guided tour, you will then proceed to the Loltun Caves where you will see the incredible stalagmites and stalactites along with some native wall paintings that date back to the Pleistocene period. You will then proceed to the Ecomuseo Del Cacao, which is filled with beautiful plants and wildlife. The final stop of the day is to Hacienda Santa Rosa. this beautiful hotel used to be a private estate and features ornately carved columns and beautiful gardens. Today after breakfast you will be heading to Celestun, which is known for is tranquillity. This fishing town has some gorgeous pristine beaches for you to visit. 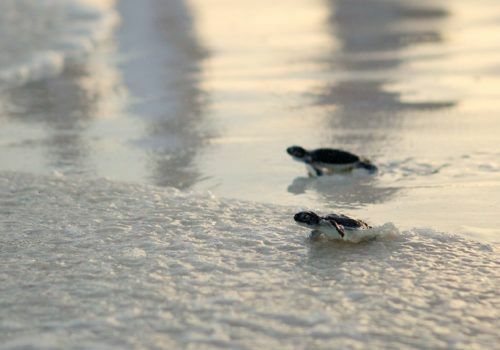 You will also be heading to the biosphere reserve Ría Celestun. It is an important wildlife sanctuary which is home to many species including white-tailed deer, armadillos, crocodiles, ocelots, bush turkeys, ducks and many birds. The star of the show has to be the flamingo colony. You will be spending two nights in this unique resort, allowing to you get a real feel for the wildlife that surrounds the area. Today you will be heading to Merida which was founded in 1542 and is a fantastic combination of art, history and Mayan culture. Explore the beautiful streets and taste some of the local cuisines. You will visit the Paseo Montejo, Governor’s Palace, the House of Montejo, Monument to the Flag, and Las Americas Park. Enjoy some free time for lunch and shopping which will be followed by a trip to Hacienda San Jose where you will see an array of tropical flora and fauna. 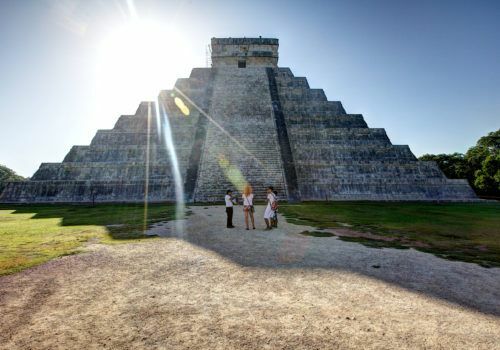 Today you will be heading to another famous Mayan city called Chichen Itza. this is the best kept Mayan city in the area, and is recognised as a UNESCO heritage site, and is one of the new seven wonders of the world. Spend the rest of your days either relaxing or visiting other Mayan ruins such as those on the beach at Tulum.